Ivan Rakitic has heaped praise on Ole Gunnar Solskjaer’s Manchester United side. The Red Devils are all set to take on Barcelona in the quarter-finals of the UEFA Champions League, with the first leg to be played at Old Trafford on Wednesday night. While the La Liga giants seem to be the clear favourites to proceed to the semis, Manchester United will not be underestimated, especially after their heroics against Paris Saint-Germain in the Round of 16. 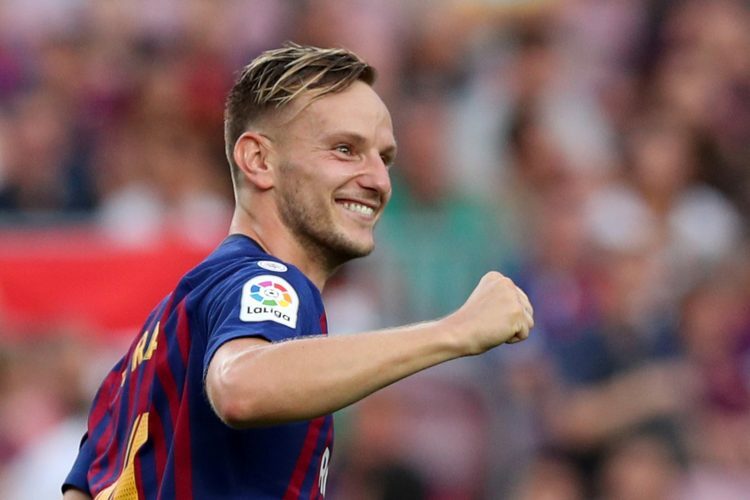 To add to it, Barca midfielder Ivan Rakitic has claimed that his side should be extra vigilant against the Premier League outfit now that Ole Gunnar Solskjaer has identified his best lineup. Speaking to GQ, the Croatian international stated: “You have to know your best side. And the new Man United manager seems to know that. If you have to fight a bit more or play counter-attacking then you do what is best. Rakitic then showered praise on the Mancunians for their historic comeback against PSG, as he added: “We saw how good they were and we know English clubs are strong at the moment.